Welcome to the November CDRC news brief. This is the first monthly mailing to update you on what is coming up and any results from past events. If you do not wish to receive these emails, please contact us via Chobamrc@gmail.com so you can be removed from the mailing list. We are working on updating the web site so that you will be able to do more on line, but for the moment, please use that email to get in touch with us. All feedback is welcome, this is your Club, so get involved in deciding what we should put on for you. Tell us what you want and we’ll do our best to arrange it for you. A small group of members gathered at Big Apple Bowling in Woking. The entertainment factor was high, and the ladies’ team strongly challenged the men’s in the first game. Then the bumpers were taken down on the ladies’ lane! Their scores consequently dropped as the pinball approach to bowing no longer worked particularly well for a couple on that team. A great deal of fun was had with everyone managing to clear all the pins at some point, and a reasonably number of strikes causing celebration. Thanks to Bob Deacon for organising. The AGM took place at Lyne Village Hall attended by 15 members. 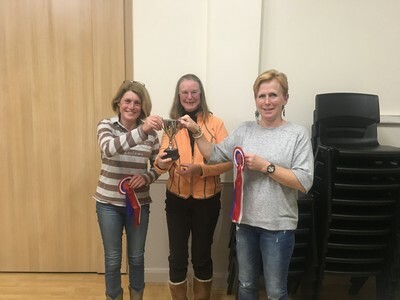 Bob Deacon reported that membership currently stood at 33 and a few new members had joined at the September Dressage competition at Merrist Wood, the discount offered worked well. The June Show raised £800 for the RDA and was the 11th Charity Show run by CDRC. Sally Watson presented the accounts. Despite the BRC levy being increased by 50p per member, membership rates will not be increased this year. Bob then presented the Team Manager’s report. A team completed at Blenheim and were clear but not placed. However, the team for the Snowball Farm evening came 4th. Two riders were entered for the Sands Farm dressage but in the end neither could attend. The committee members in situ were all due to be re-elected. Elizabeth Hillier-Sinclair offered to take on Team Manager, Sara Green to deal with Communications, Claire Valvona to manage the membership and Paul Broadest-Dixon also offered to join the committee. There was a brief discussion about the apparent conflict of interest if Sally Watson was Treasurer and Michael Watson was approving the accounts. Nick Valvona was volunteered by Claire Valvona to take on the approval to remove the conflict. There was then discussion about future events which are detailed further down this brief. The club trophies were awarded at the end of the meeting, resulting in almost a clean sweep for Marci Gough who took the trophies for points earned at the Summer show and the overall points throughout the year. 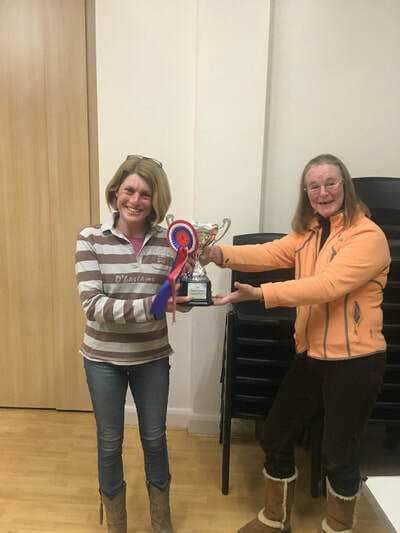 Liane Deacon prevented Marci’s complete dominance by sharing the Dressage Trophy at the Summer show and also taking the trophy for the highest dressage score at that show. Throughout the meeting drinks and nibbles were available, including fresh from the oven sausage rolls courtesy of Paul Broadest-Dixon which went down very well indeed. The week after the AGM a committee meeting took place to decide roles for the future year. At that meeting, Bob and Liane Deacon and Sally Watson decided to resign from the committee. 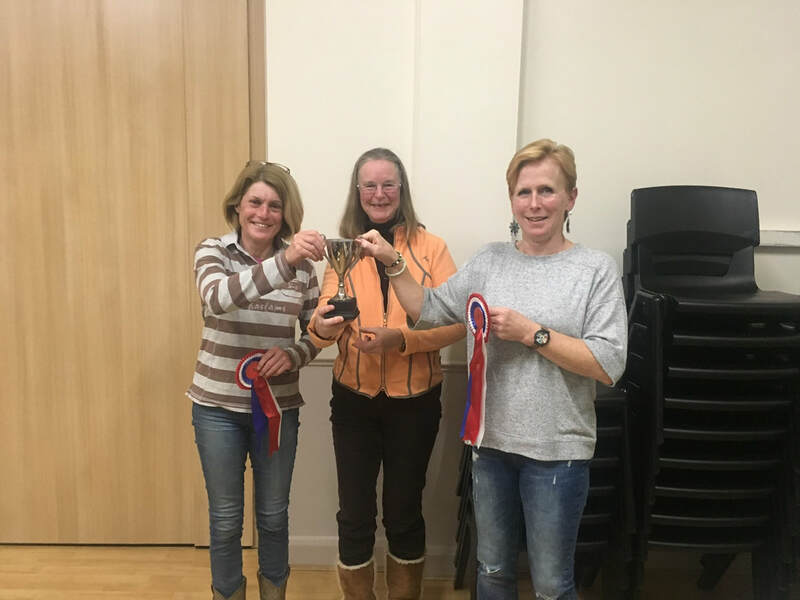 All three have given many years of service to the club, both on the committee and running events, especially the Summer Charity Show and the club owes them a big debt of gratitude for their services over the years. Sara Leno is the Club Safeguarding Officer. To contact any member of the committee, please email Chobamrc@gmail.com Please put the name/role of the person to whom the email is directed in the subject title so the right person can pick it up as quickly as possible and respond. Please note that subs for 2019 are due from members who were paid up to October this year. At renewal rates of £18 for riders and £10 for non-riders, these have been maintained at the same rate as last year. Please contact Claire Valvona with “Membership” in the title to arrange for payment.